Parenting plans are being utilized nationwide, and are required in all custody cases in Tennessee. The purpose of Parenting Plans is to make sure children are not hurt by a divorce, and to make divorce easier on the children. The Tennessee Parenting Plan law is found in Tennessee Code Annotated Sections 36-6-401, et seq. 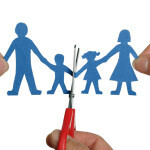 Parents in divorcing families are required to work together to make decisions to best meet the needs of the minor children, and to ensure maximum parenting time for both parents. It is easy to look at the Parenting Plan form and to make decisions regarding your desires for your minor children; however, there are often ramifications to those decisions that only experienced child custody attorneys know about! Schedule a Free Initial Consultation Online or call or office to meet with one of our child custody lawyers and discuss formulating a Parenting Plan in the best interest of your minor children.